Hello and welcome Joblot of track 7 x 3rd radius double curves 8 x 2nd radius double curves 2 long straights 8 short straights 1 power track 2 left hand points 4 2nd rad single curves. 4 line side buildings 2 powerpacks And 2 controllers,one is good,the other is intermittent but works. . Nickel silver rails,all came from sets I've broken up.converting to em gauge so now surplus. 99p start,no reserve. Check out my other listings. 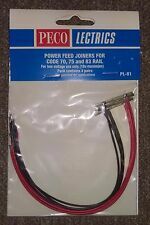 Suitable to connect one isolated circuit to another. Suitable to connect one isolated circuit to another. Ideal for use on a layout where the whole layout is required to be 'live'. Any problems?. There are 9 x LH and 3 x RH. Collectively are sold in a decent used condition. 5 x R607 Curves. TESTED AND IN FULL WORKING ORDER. Sold in an excellent condition. Each sold in an excellent and fully working condition. 8 x Hornby R607 2nd Radius Double Curves. 8 x Hornby R609 3nd Radius Double Curves. 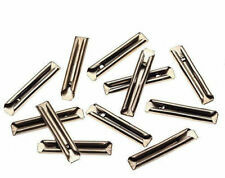 4 x Hornby R600 Standard Straights. 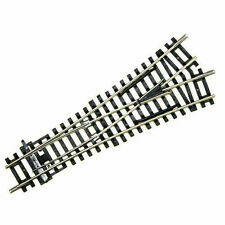 6 x Hornby R601 Double Straights. 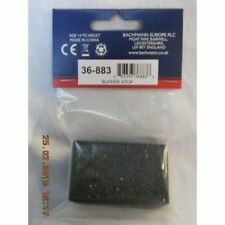 2 x Hornby R8073 R/H Points. Hornby Trains Sets. To complete the layout with buildings. Sylvanian Familes. Tamiya RC Cars. Sylvanian Families. Plastic Model Kits. Scalextric Cars. Scalextric Sets & Layouts. This is an excellent Airfix locomotive. Prairie 2-6-2. Can do more photographs if required. This item has been kindly donated to raise funds for St Helena. We provide this information for guidance only and will not be held responsible for oversights concerning defects, nor does a reference to particular defects imply the absence of any others. Train set layout . Board . Track and buildings with an old transformer.. Running stock sold desperate. Buyer to collect ..approx 6ft x 4ft ..
WIRING IS STILL TIED IN TRIX BANDING. HAVE NEVER BEEN OPENED EXCEPT TO PHOTO. Keep it going Hornby OO Train Huge Set job lot. Good condition and full working tested. ALSO, IF A BOX IS INCLUDED IT WILL BE SHOWN IN PHOTO. VERY GOOD CONDITION.WITH WIRES AND SWITCH. Sold in a lovely condition. Goods Train No 205. Also includes the Trix generator. Condition is Used. 2 x other pieces. 5 x straights. Condition is used. I can send more details pictures just ask. WHAT IS A FACTORY RESET AND HAS ONE BEEN DONE ON THIS ITEM?. Power Test Only – The item has been plugged in and the power button has been pressed and the light shines to show the item turns on. No further tests have been done. Made in Austria. 1 x R612 l/h point. 6 x R600 straights. 2 x R601 straights. 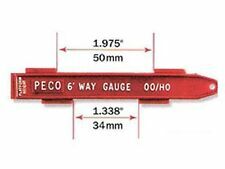 PECO KIT 2 - 3 x EXTENSION PIN KITS FOR PL-10 STANDARD POINT MOTOR - EXTENDS THE PIN FOR UNDER BASE BOARD MOUNTING ON PLATE PL-9 or PL12 or PL12X. This item is New and Unused. MADE FROM BRASS AND STAINLESS STEEL. 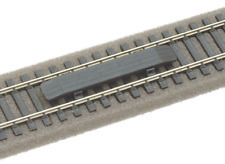 Hornby R8221 Track Pack A OO Gauge. Condition is New. Dispatched with Royal Mail 2nd Class. Hornby railroad set track and power controller. It was in perfect working order when put away 10 years ago however I’m not sure if it still operates. It’s been stored inside and kept dry in a well ventilated crate. All the track is in tact and clips together perfectly. The main power controller is in the nearly new condition but can’t say if it works. There’s 14 long corner pieces, 17 straights, 7 shorter corner pieces, 4 short corners and 3 line separators. Great bargain and a good present for anyone who loves trains.